Chichester Peregrines is bij Chichester Cathedral. Very sad news to report this morning, please read this message in it's entirety. Our female BL-80 has been euthanised due to the conditions found after extensive evaluation, treatment and consultations with experts. 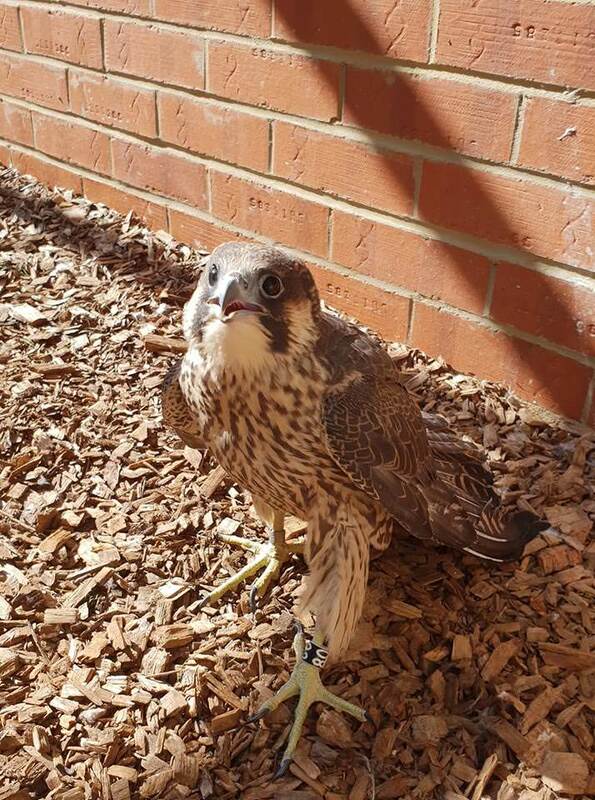 "Brent Lodge informed us that after investigation Peregrine chick No. 80 was still struggling to fly. Although she appeared healthy apart from the short feathers, it was found that the sheaths to her feathers would not come off. Underneath these sheaths her feathers appeared to be rotting, and there were stress lines on the feathers. This is a condition that has recently been seen, although little is known of its cause. After consultation with the local ‘Peregrine Raptor Group’ & local falconers, it was felt that she may be able to fly next year after her 1st moult. This would mean keeping her in captivity until that time, but would also mean she would not get the important training from her parents or be able to build up her muscles to assist with flying. It was therefore decided that the kindest solution would be to euthanise her, and this is what has happened. Whilst this is very sad, this option was not taken lightly. 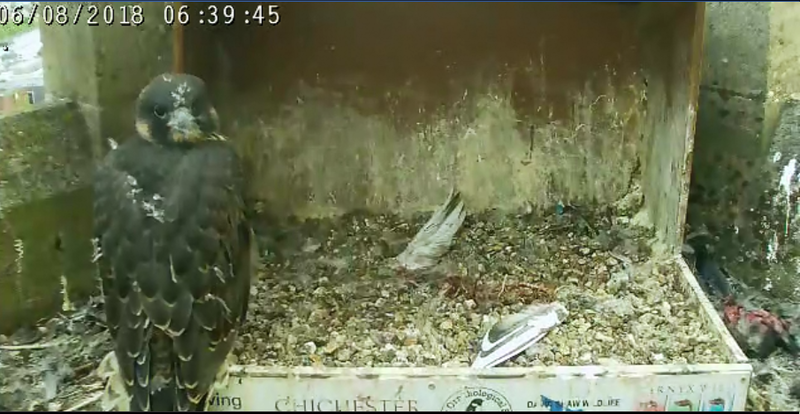 We have been fortunate at Chichester because until now we have not lost any chicks in this manner before, or this early after fledging, whereas many other urban nest sites like cathedrals unfortunately have. Hopefully this will not happen too often." We know nothing more than this and do not expect any further public updates. We understand it's an emotional situation but please be respectful in your comments and concerns. While a sad post and one we hope to never repeat, we must remember that these are wild creatures who's breeding success rate is much lower in the wild then in our urban environment. Hello All, it's time to say goodbye to our presence at Chichester Cathedral for 2018. As we pack up we hope you can still visit the cathedral as our young fledglings and their parents will continue to fly about for a few more weeks and we hope many of you can still come out to see them before the adults disperse the juveniles to their new homes.